The Recording Academy™ announced key dates and deadlines for the 61st Annual GRAMMY Awards®. 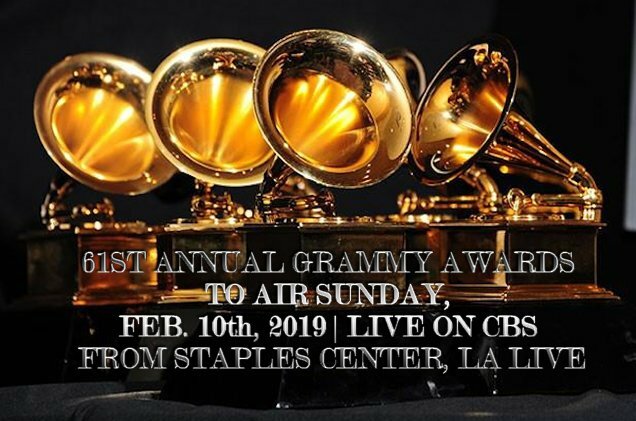 Music’s Biggest Night® returns to Los Angeles’ STAPLES Center on Sunday, Feb. 10, 2019, and will broadcast live on the CBS Television Network at 8 p.m. ET/5 p.m. PT. Nominations for the 61st Annual GRAMMY Awards will be announced in all 84 categories on Wednesday, Dec. 5, 2018, and will honor the best in recordings released between Oct. 1, 2017 and Sept. 30, 2018. GRAMMY In The Schools® Live! Additional information regarding media and publicist credentials for the red carpet and media center can be found here. The Recording Academy represents the voices of performers, songwriters, producers, engineers, and all music professionals. Dedicated to ensuring the recording arts remain a thriving part of our shared cultural heritage, the Academy honors music’s history while investing in its future through the GRAMMY Museum®, advocates on behalf of music creators, supports music people in times of need through MusiCares, and celebrates artistic excellence through the GRAMMY Awards—music’s only peer-recognized accolade and highest achievement. As the world’s leading society of music professionals, we work year-round to foster a more inspiring world for creators.